WineEmotion UK is pleased to announce the first UK installation of the WineEmotion wine dispensing system at A Taste of Tanners, the new high street shop at Tanners Wine Merchants’ headquarters in Shrewsbury. Tanners were established in 1872 and is currently run by James Tanner, managing director, the fourth generation of the family to work for the company. Tanners employs over 100 people across five branches located in Shropshire, Herefordshire and North Wales. Located next door to Tanners iconic Tudor building on the busy Wyle Cop, A Taste of Tanners, as the name suggests, offers a smaller selection of the wines that can be found in the larger existing Cellar Shop located at the rear of the building. 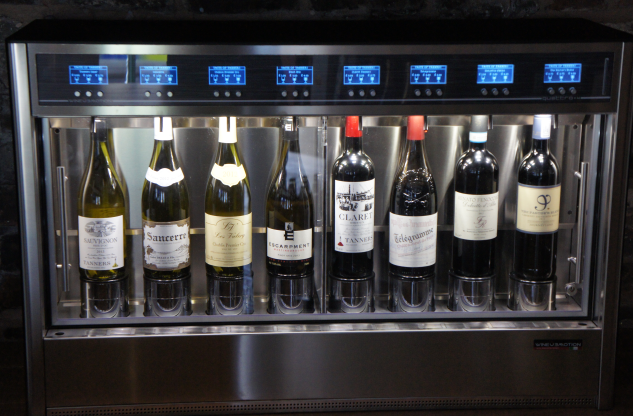 At any given time, the WineEmotion system at A Taste of Tanners features 8 different wines available in 25ml tastes or 125ml and 175ml measures by the glass. 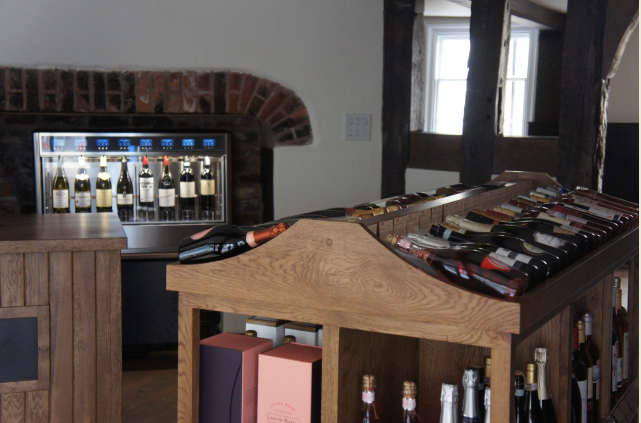 The dual temperature dispenser enables browsing customers to taste and discover both white and red wines perfectly suited to their palate, which they can then enjoy in the recently refurbished shop area, even tasting al fresco on the newly decked out area at the rear of the shop. WineEmotion’s advanced software, WineIDEA, is integrated with Tanners’ Quattro+4 machine. This allows customers to use the Tanners pre-paid wine card to help themselves to a sample, simply by inserting the card into the machine and selecting their choice. WineIDEA can monitor tasting trends and also enhance customer relations, as it maintains detailed user account profiles. These give staff access to the individual customer’s tasting history, helping enhance wine recommendations. Although Tanners is one of the UK’s truly historic wine merchants, they also keep up with modern trends. WineEmotion is new in the UK but despite the age gap, it seems both companies thrive on the same principles: good traditional service and a continual drive to improve the products and services they feel so passionately about. Contact us today to find out how WineEmotion can help your business increase wine profits.